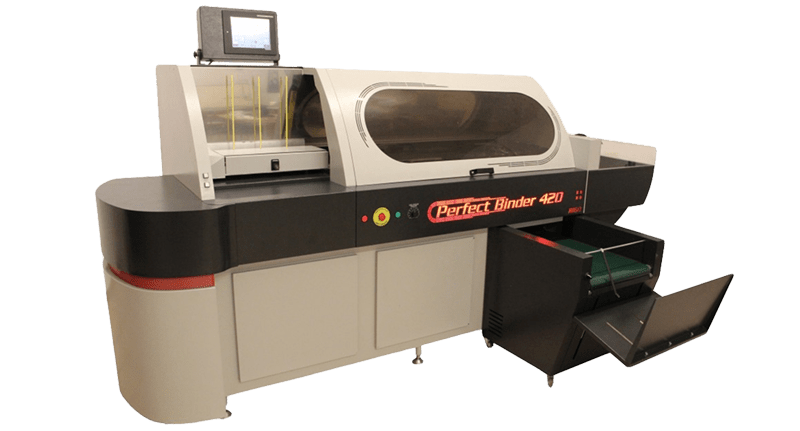 Perfect Binder 420 PUR is one of the most efficient bookbinding machines in existence, that is fully automatic and equipped with a closed PUR system. It is suitable for carrying out digital and large-scale works. The working process of the machine's adhesive unit is a method that has been developed and invented by RIGO, moreover it's uniqueness is the "high pressure" closed system, that provides perfect spine and side gluing. The machine is HYBRID, the 2 kg glue tank can be used with PUR and EVA based glue as well, which increases it's efficiency and decreases the loss. 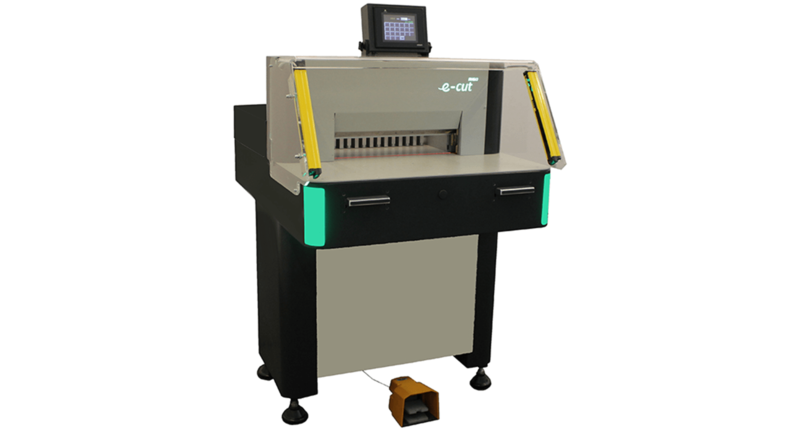 The e-cut electromechanical guillotine family is the most effective choice for small and medium size print shops. Providing the astonishing cutting experience we have reached a speed like no one else. The HYDROCUT MACHINE FAMILY hydraulic paper guillotine is essential processing machine for digital printing houses. The highest security level (two-hand operation, optical light curtain) and low noise level peculiar to it during operation. 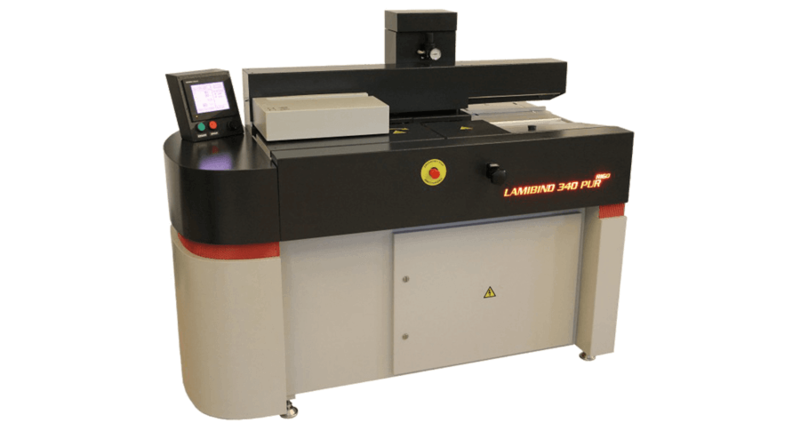 The Lamibind 340 PUR-Melt semi automatic bookbinding machine is the world’s most cost effective professional semi-automatic PUR binder. 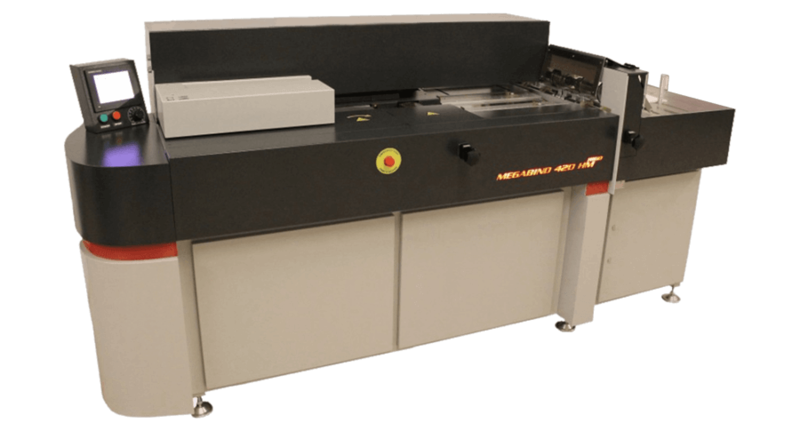 Ideally suited for short run A4-A5 books it shares the same closed PUR application system which has made RIGO binders the envy of all other digital PUR binding manufacturers. 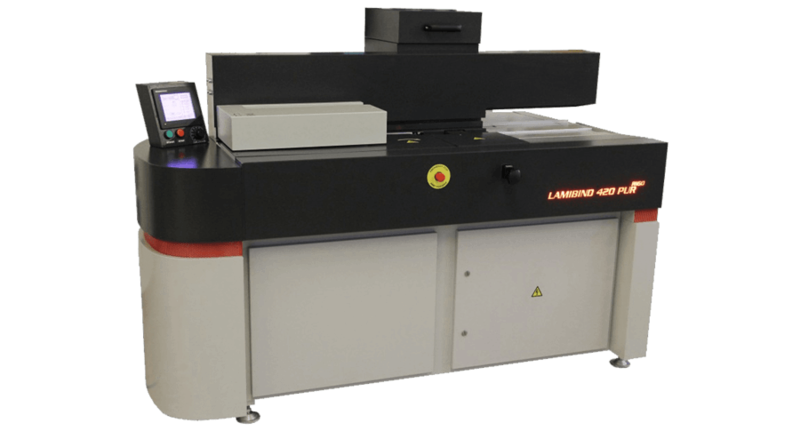 The Lamibind 420 PUR-Melt semi automatic bookbinding machine is one of the world’s most cost effective professional semi-automatic PUR binding machines. This machine is equipped with a unique “high pressure” closed PUR application system, which has made RIGO binders the envy of all other digital PUR binding manufacturers. The Millbind 420 PUR-Melt semi automatic bookbinding machine is one of the world’s most cost effective professional semi-automatic PUR binding machines. This machine is equipped with a unique “high pressure” closed PUR application system, which has made RIGO binders the envy of all other digital PUR binding manufacturers. 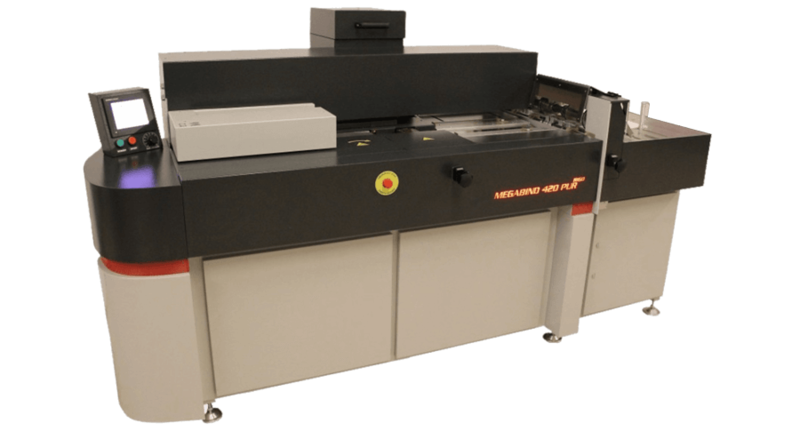 The Megabind 420 PUR-Melt semi automatic bookbinder machine is one of the most cost effective professional semi-automatic PUR binding machines in the world. 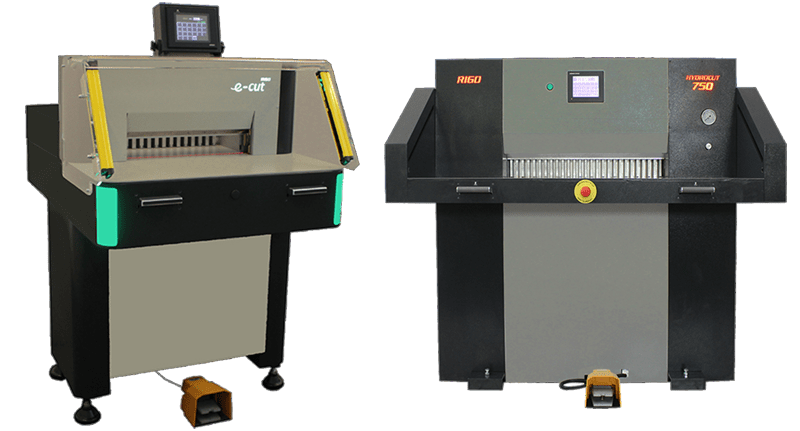 It is a member of the Megabind family of products; and has all the necessary functions and more that are required by a medium size printing shop. 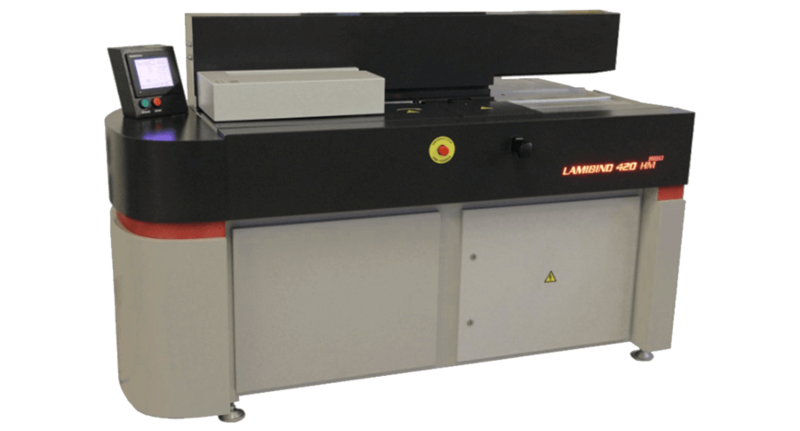 The Lamibind 3000 PUR semi automatic bookbinder machine is one of the most cost effective professional semi-automatic PUR binding machines in the world. It is a member of the Lamibind family of products; and has all the necessary functions and more that are required by a medium size printing shop. Perfect Binder 420 PUR is a fully automatic setup single clamp PUR binding machine in the world. This machine is setup very simply by placing a “book block” into the clamp and retracting your hands from the clamping area. Safety for this machine is performed by a set of optical light barriers. This machine will set itself up to each book that is placed into the clamping area each cycle. 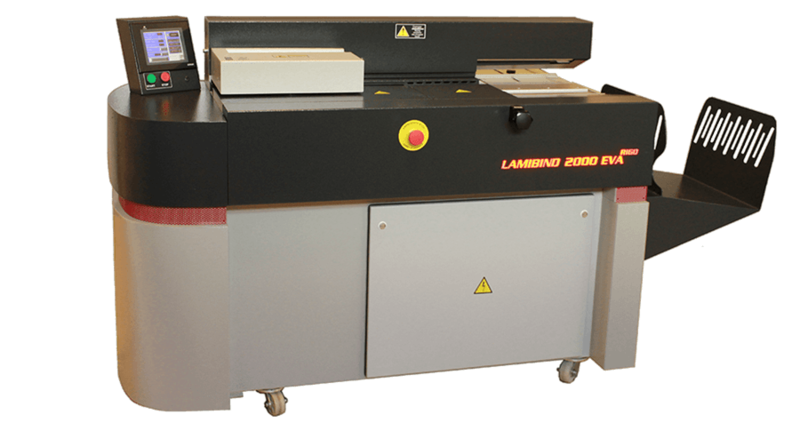 The Lamibind 2000 EVA semi automatic bookbinding machine is easy to handle simple bookbinder machine which is excellently suitable for quick printers, ideally suited for short run A4-A5 books. It has tiltable milling section and a binding unit which is equipped with cover sensor furthermore it is prepared for tape binding process. 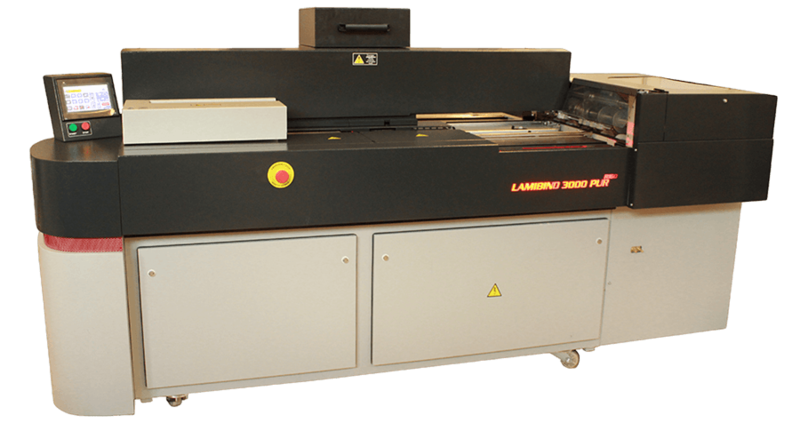 The Lamibind 420 Hot-Melt semi automatic bookbinding machine is the best choice for short and medium run binding. The machine is equipped with special slitting knives mounted on a precision milling disk which provides the optimum preparation for the bonding surface. The Millbind 420 Hot-Melt semi automatic bookbinder machine is a member of the Millbind family of products and has all the necessary functions and more that are required by a medium size printing shop. The machine is equipped with special slitting knives mounted on a precision milling disk which provides the optimum preparation for the bonding surface. 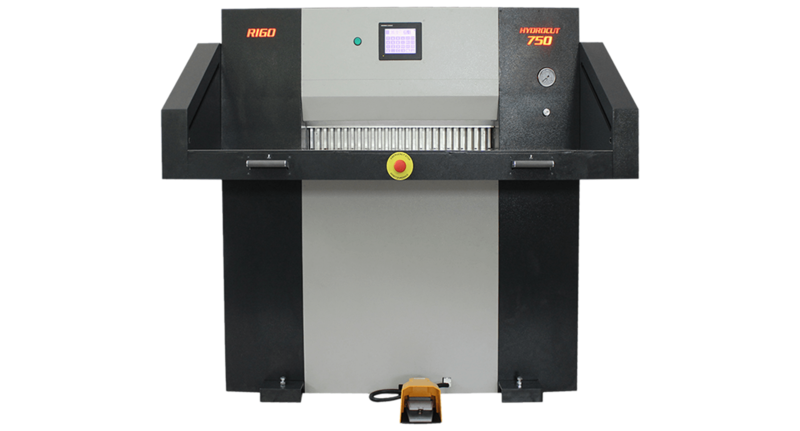 The Megabind 420 Hot-Melt semi automatic bookbinder machine is a member of the Megabind family of products; and has all the necessary functions and more that are required by a medium size printing shop. The Perfect Binder 420 Hot-Melt semi automatic bookbinding machine is a fully automatic setup single clamp binding machine. This machine is setup very simply by placing a “book block” into the clamp and retracting your hands from the clamping area. Safety for this machine is performed by a set of optical light barriers. We provide unique tool and part production according to individual needs. Our company manufactures very versatile moulds for different industries (automotive, health care, light etc. industries), like plastic injection moulds, metal stamping and bending moulds, high pressure aluminium injection moulds and the combination of these procedures. Manufacture high precision of cutting dies for all industries: automotive, shoes and furniture, from all kind of materials (leather, synthetic-leather, textile and carpet) and solutions. In the field of «Al» injection our company uses numerous production technologies. 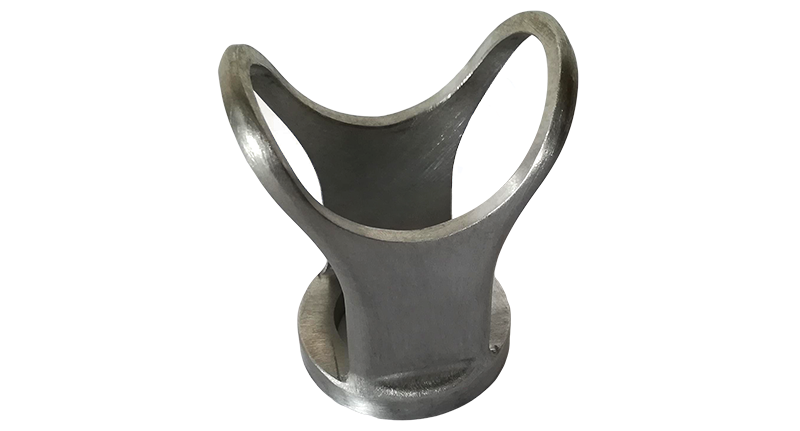 From sand casting and investment casting to the quite special low-pressure casting our company has significant production know-how. Because of our mould and machine producer facility our company does not deal only with mould and machine production but various type of part production and manufacturing including machining and tooling as well. Metal sheet work – cutting, bending, assembling with high precision being in relation with electronic industry and machine production. High precision of cutting, bending and finishong of plate components for the electrical industry and for machine production. FLEXIBLE, FAMILY-FRIENDLY EMPLOYMENT SOLUTIONS AT RIGO KFT. The Ministry of National Economy, as a Supporter, has qualified eligible the RIGO Ltd.'s tender named "Flexible, family-friendly employment solutions at RIGO Kft." 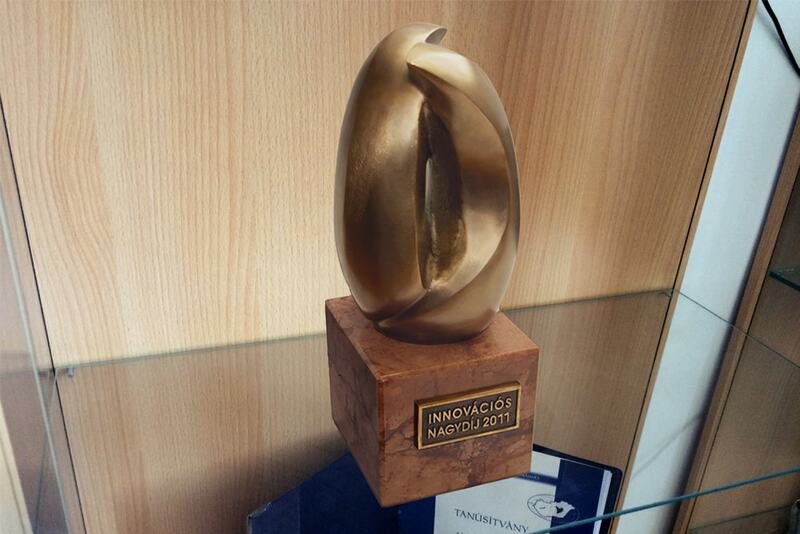 which had been submitted within the framework of Economic Development and Innovation Operational Program. RIGO Ltd. was founded in 1990 with a registered capital of HUF 25 million. 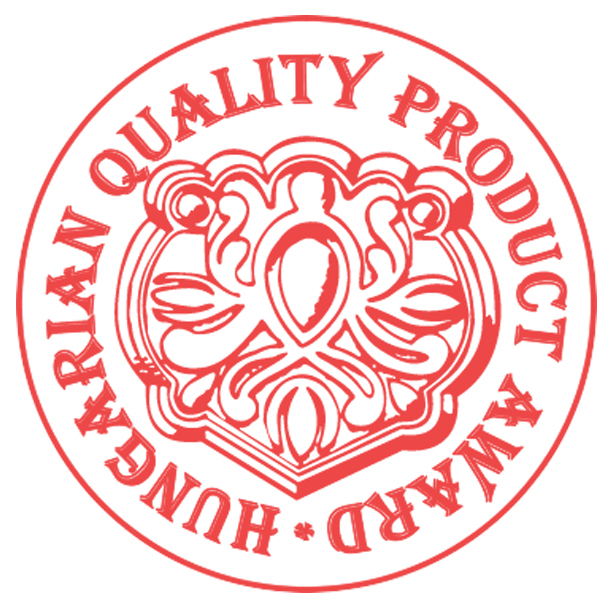 100% Hungarian owned company, family business. The headquarters of the company is located in Budapest, Orsovai street 3, production takes place at two settlements, Martfű and Tiszaföldvár. The sites are owned by the company, the production is carried out in a modern factory halls with full infrastructure development. The number of employees is continuously increasing. Employees are welltrained professionals who speak European languages. Continuous growth in sales is driven by continuous marketoriented R&D innovation and the related development of the technology coupled with extensive marketing work, customer care and last, but not least the high quality of the manufactured products. We are contracted with suppliers. The established subcontracting relationships are organized, long-term and look back over many years. The computerized production management system was introduced in 1995 and along with the development of the IT system that continuously developed and continuously updated. This versatile cutting work is made by our high-tech CNC machining centers. Operates as a central unit of the company. The significant part of the production takes place in Martfű. In this location the production of the bookbinder machines, mold production, cutting die and aluminum founding and machining takes place as well as the technical designing related to production. At this location we manufacture the sheet metal parts and the machine frames with our CNC laser cutting and CNC edge bending and other machine in relation to plate machining. In addition external orders will be delivered in case of free capacity. Our company is ISO 9001 certified since 1998. The machines and equipment produced by RIGO are CE certified. 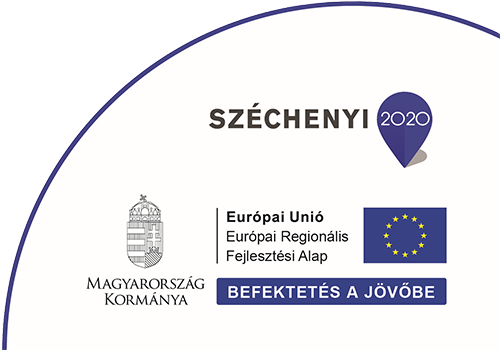 Our company can be found at the Tisza Industrial Zone in the town of Martfű. 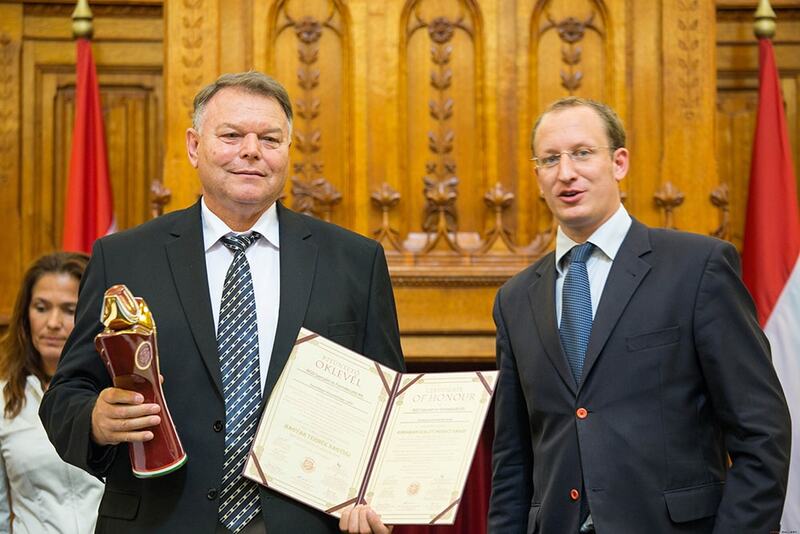 By arriving from Szolnok on the National road Nr. 442, you can find us by turning to the right before the roundabout. Martfű also nowadays is the most dinamically developping town of the county Jász-Nagykun-Szolnok. Equipped with well installed infrastructure, industrial high level producinglfactories and a lot and well trained peoples. Copyright © 2019 RIGO Kft.